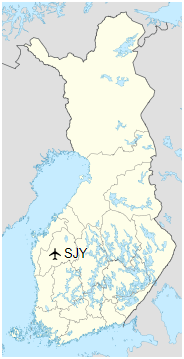 Seinäjoki Airport (Finnish: Seinäjoen lentoasema; IATA: SJY, ICAO: EFSI) is an airport in Ilmajoki, Finland, about 6 NM(11 km; 7 mi) south-southwest of Seinäjoki city centre. The airport has been operated since 2016 by Seinäjoen Lentoasema Oy (Seinäjoki Airport Ltd). Before that (from 1976 to 2016) it was operated by Rengonharju-säätiö (Rengonharju Foundation). The airport resides at an elevation of 92 metres (302 ft) above mean sea level. It has one runway designated 14/32 with an asphalt surface measuring 2,000 by 45 metres (6,562 ft × 148 ft). At the moment there are no scheduled flights and the traffic consists mainly of private business and charter flights, in addition to general aviation. 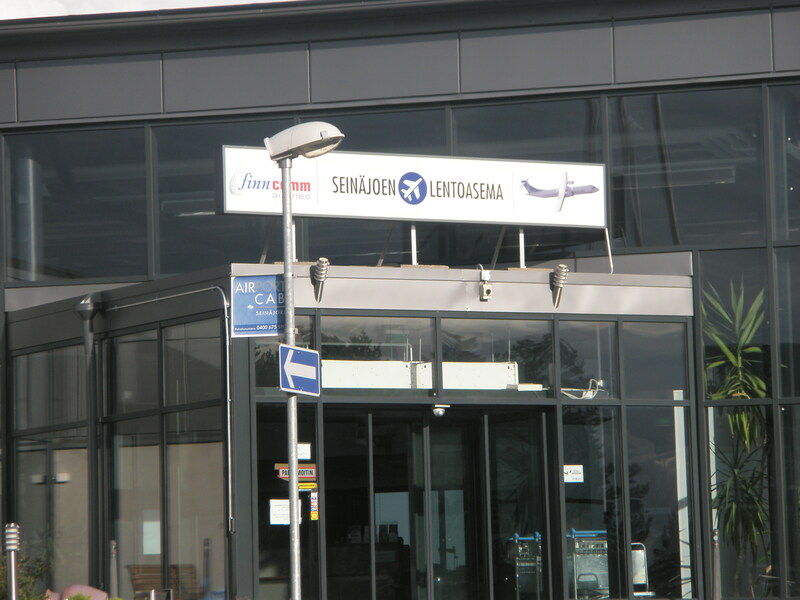 In the past, scheduled flights from Seinäjoki have been operated at least by Finnair, Finncomm Airlines, Flybe Nordic, Direktflyg, Golden Air, Air Botnia and Wasawings which was the first scheduled operator of the airport in 1983.